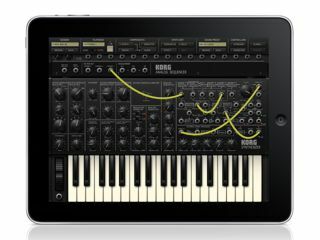 The new MIDI support could be great news for iPad users. Good news for users of Apple's iPhone, iPod touch and iPad: version 4.2 of iOS is available from today. While it isn't one of the headline features (about which you can read more on our sister site TechRadar) the big addition for musicians here is native MIDI support. Put simply, this should mean that developers will be able to create apps that can be controlled via MIDI without the need for additional hardware such as Line 6's MIDI Mobilizer. On the iPad, for example, you should be able to connect a USB MIDI controller keyboard via Apple's Camera Connection Kit and see it working with MIDI-compatible software. The possibilities afforded by this new support are sure to be exploited in the future. In the meantime, simply plug your iOS device into your Mac or PC and you should be able to update it via iTunes.